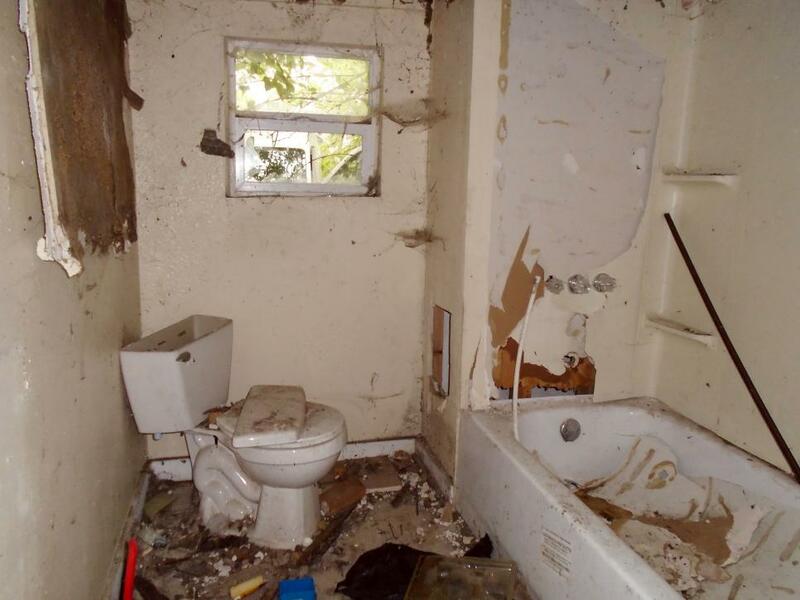 This 'before' bathroom needs a complete overhaul. 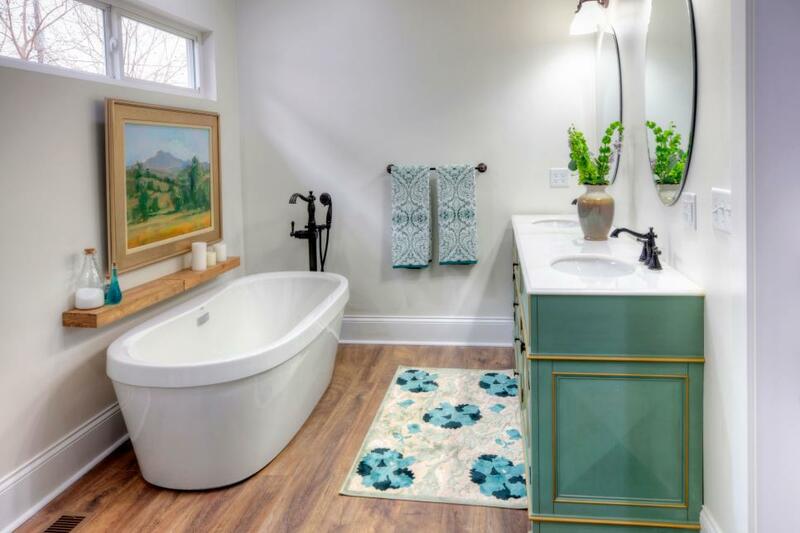 Combining spaces, in this bathroom seen on HGTV's Good Bones, allowed for the new master suite to include this spacious bath with pocket doors, oversized tub and double vanity in blue-green finish with gold trim. 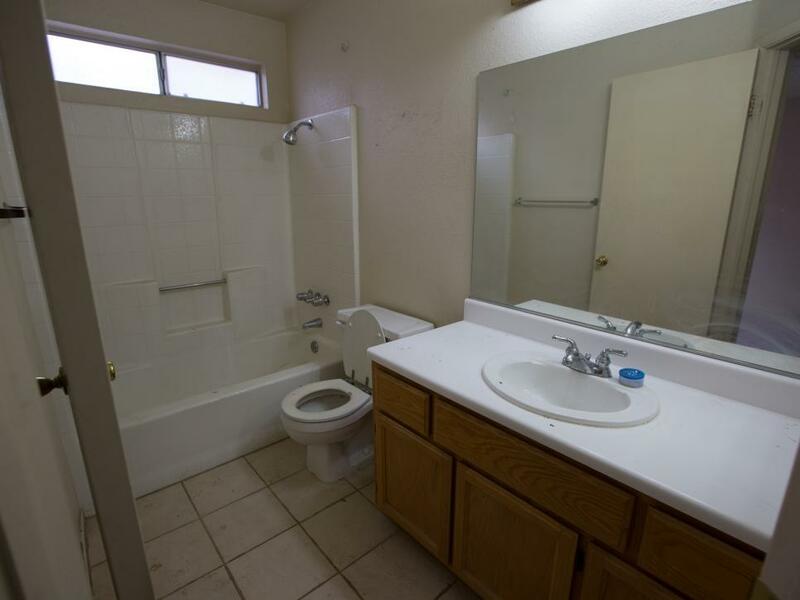 This before bathroom features a dated design that is in need of a remodel. 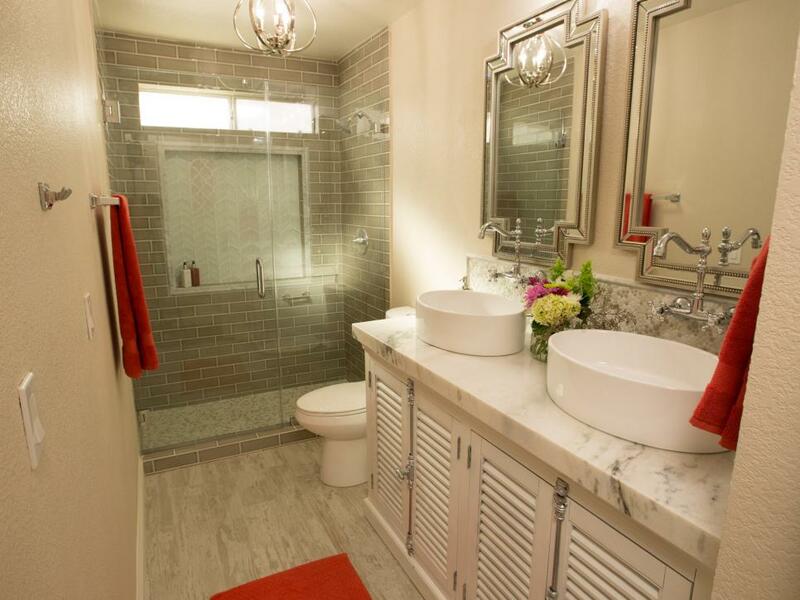 This updated bathroom, seen on HGTV's Flip or Flop Vegas, has been transformed into a glam bathroom space that really shines. Before Ben and Erin renovate, the master bedroom lacks the ensuite of which Candace Keller has always dreamed. As seen on Home Town, Ben and Erin Napier have completely renovated the Keller Residence in Laurel, Mississippi. 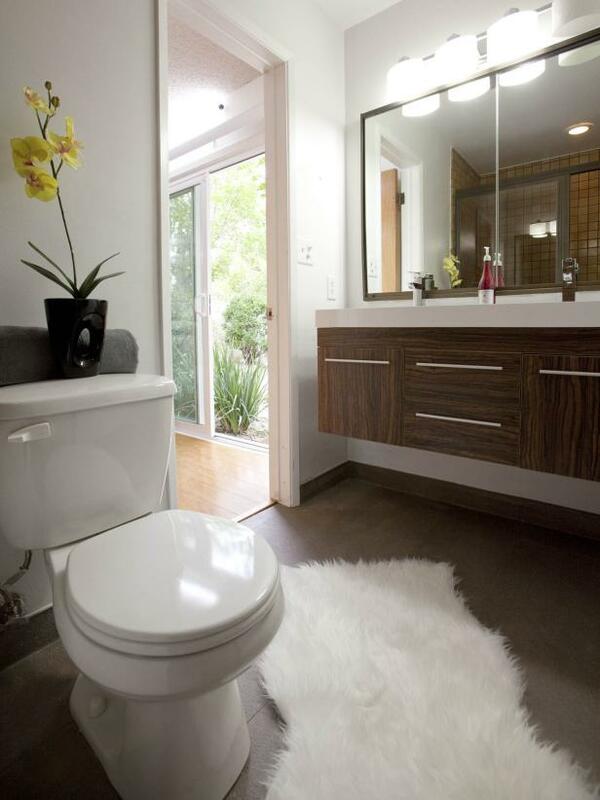 An existing third bedroom was converted into an ensuite bathroom for Candace Keller. The space now features a large linen cabinet with laundry chute as well as a new glass shower. 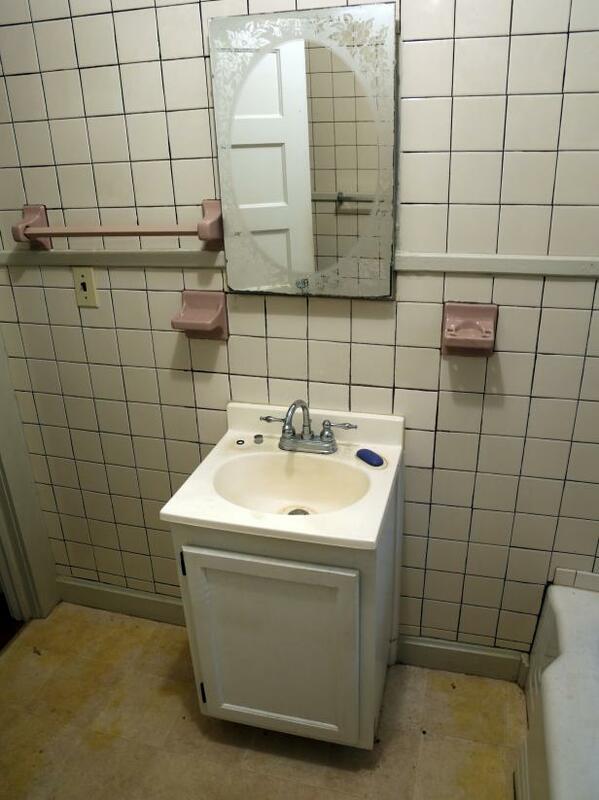 As seen on Fixer Upper, the bathroom of the Swartz house boat. 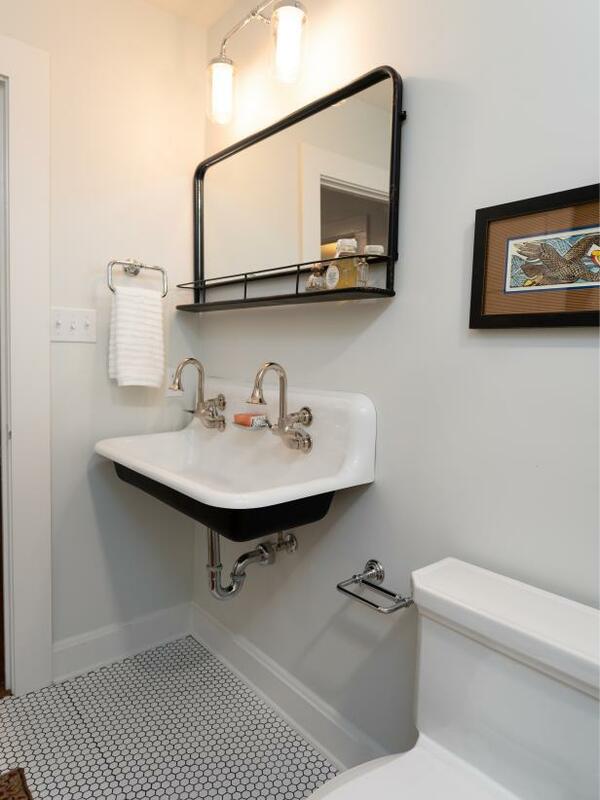 As seen on Fixer Upper, the Swartz's renovated bathroom has a new walk-in shower with black tile, a new sink, and a new light fixture. 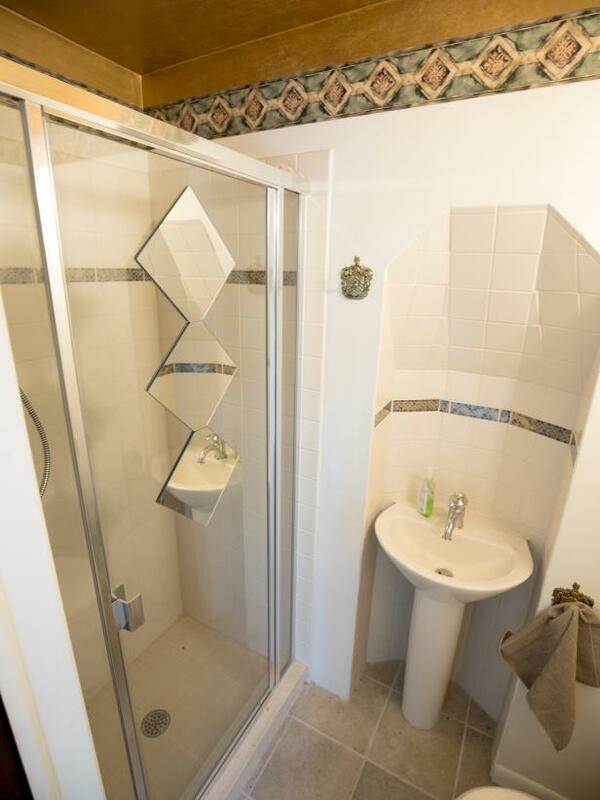 The original first floor bathroom in the home that Steve and Leanne are renovating together as seen on Restored by the Fords. 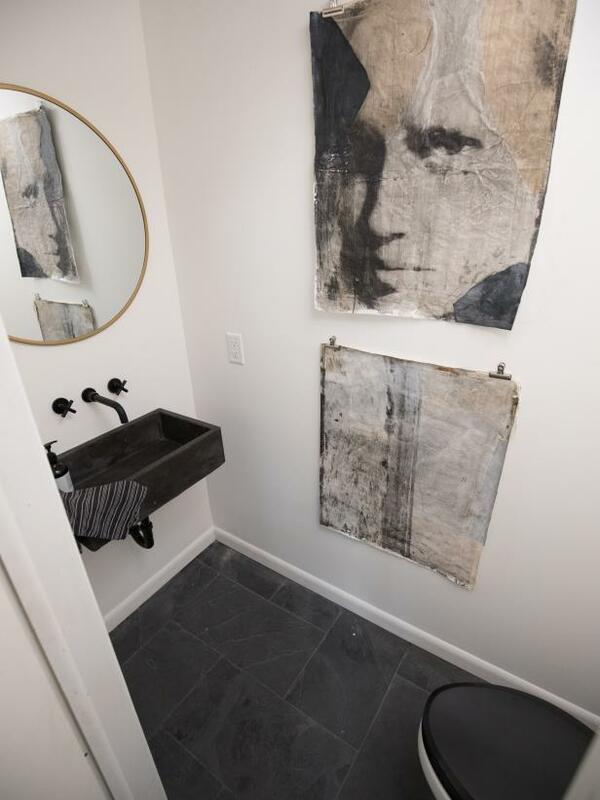 The new first-floor bathroom in the home that Steve and Leanne renovated together, they decided to hide the bathroom door into the slat wall, as seen on Restored by the Fords. 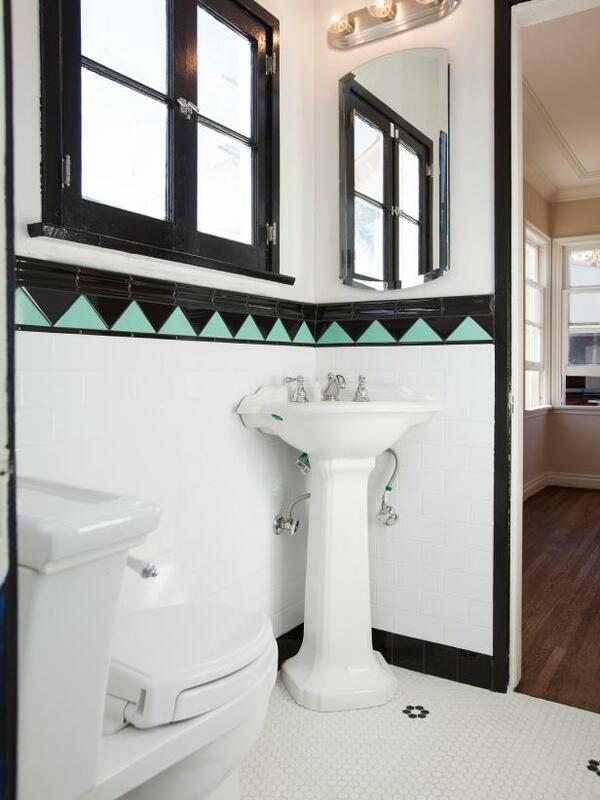 The bathroom in the Guay home features outdated fixtures and monotone colors before makeover on Home Town. As seen on Home Town, the Guay Residence has been fully renovated by Ben and Erin Napier in Laurel, Mississippi. The dirty and dark bathroom has been completely modified. 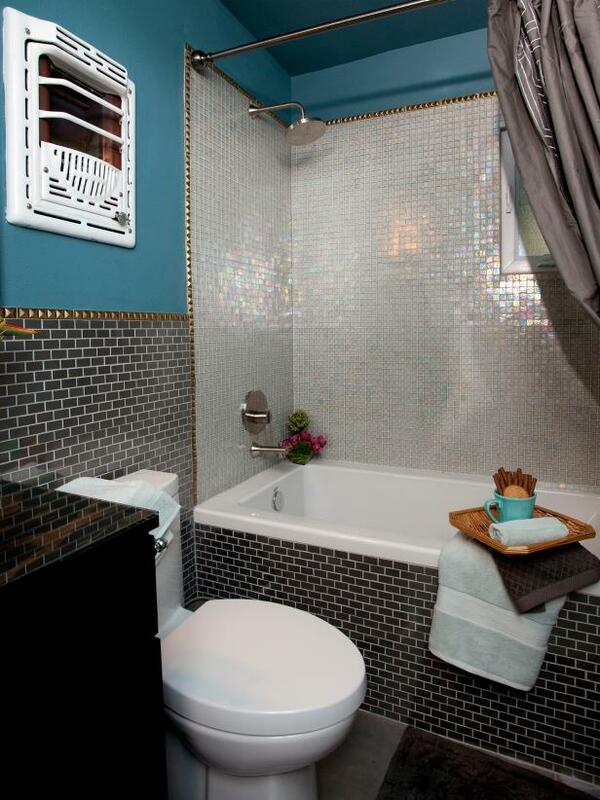 A new claw foot tub and bright colors have created a bright and clean renovated space. The bathroom of the Bell home before renovations, as seen on Fixer Upper. 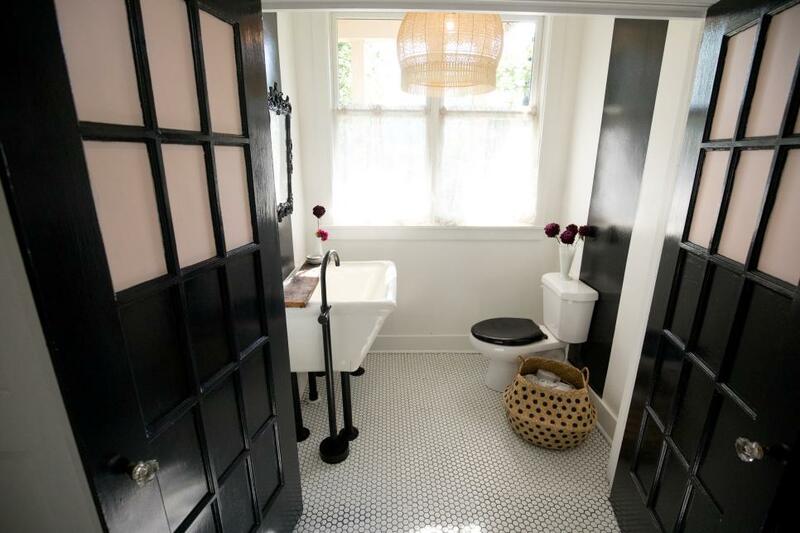 The toilet area in the master bathroom of the Bell home, as seen on Fixer Upper. The outdated Guay sink will become a design focal point once Ben and Erin renovate on Home Town. As seen on Home Town, the Guay Residence has been fully renovated by Ben and Erin Napier in Laurel, Mississippi. In the bathroom, the new double sink layout provides more space in the renovation. 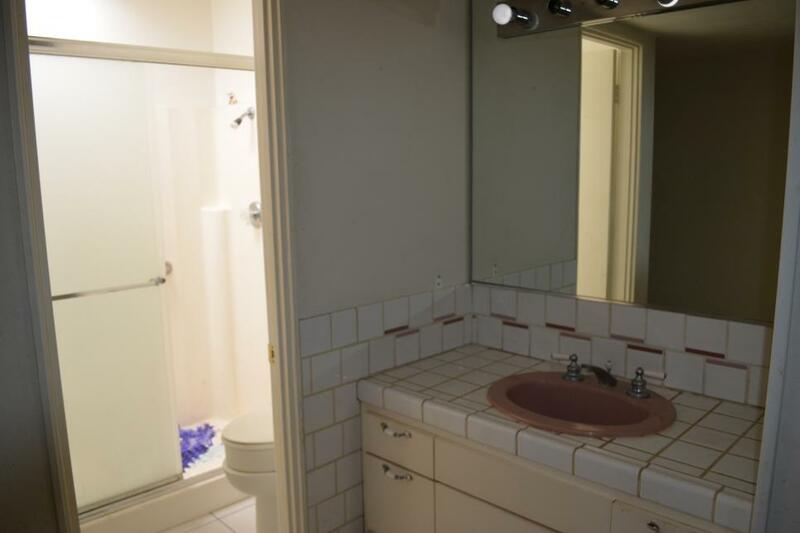 Old tile and a dated vanity did nothing to enhance this boring bathroom featured on HGTV's Brother Vs. Brother. After the redesign, a floating vanity adds tons of visual space, while new lighting above the mirror is reflected throughout the room. 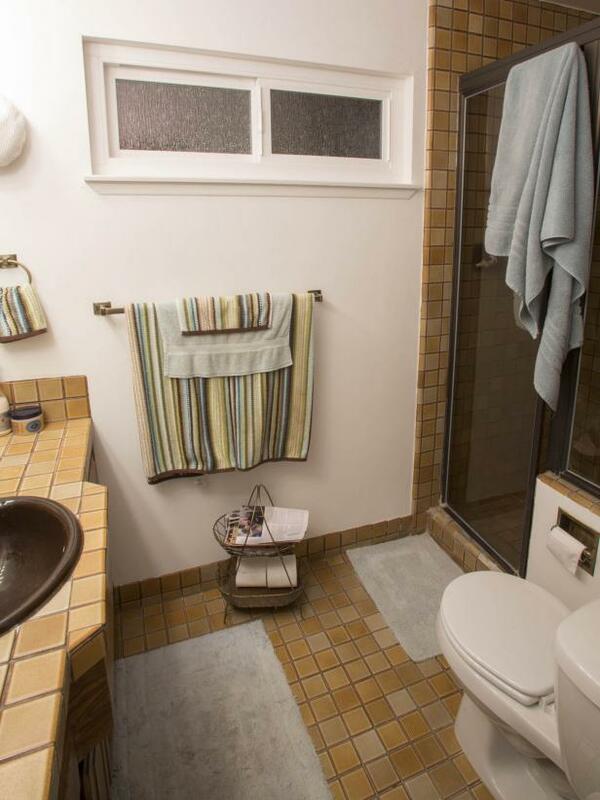 This dated bathroom is dark, dingy and in much need of a refresh. With a dark wood cabinet and tile walls, this basement bathroom felt dark, dated and confining. After the renovation, the bathroom looks brighter and much more open. Light blue walls create a calming effect, and with overall less clutter, the entire space feels larger. 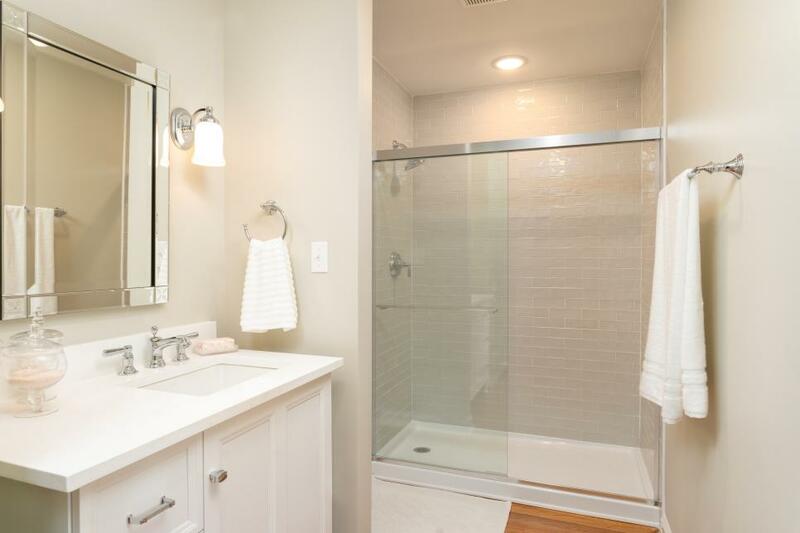 As seen on HGTV's House Hunters Renovation, the homeowners hoped to create a larger bathroom with room for a shower. While tearing down a wall to add a shower, the homeowners decided to update the tile with a white version that reflects light in the room, making the space appear bigger. 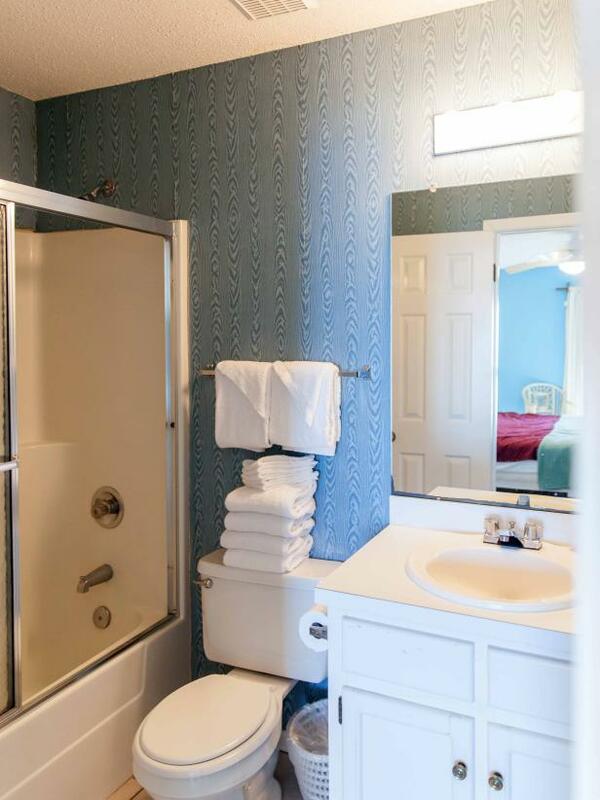 Old tiles, outdated wallpaper and a shower and tub combo weren't doing this guest bathroom any favors. After the makeover, this guest bathroom seems much more spacious with a full glass shower, new white floors tiles and a floating vanity. 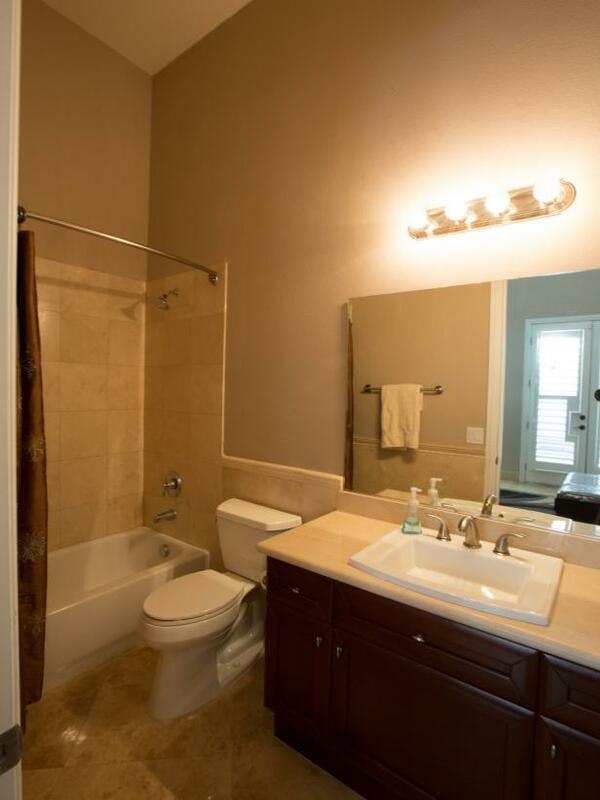 Poor lighting and an almost monochromatic color scheme make this bland bathroom feel dark and depressing. 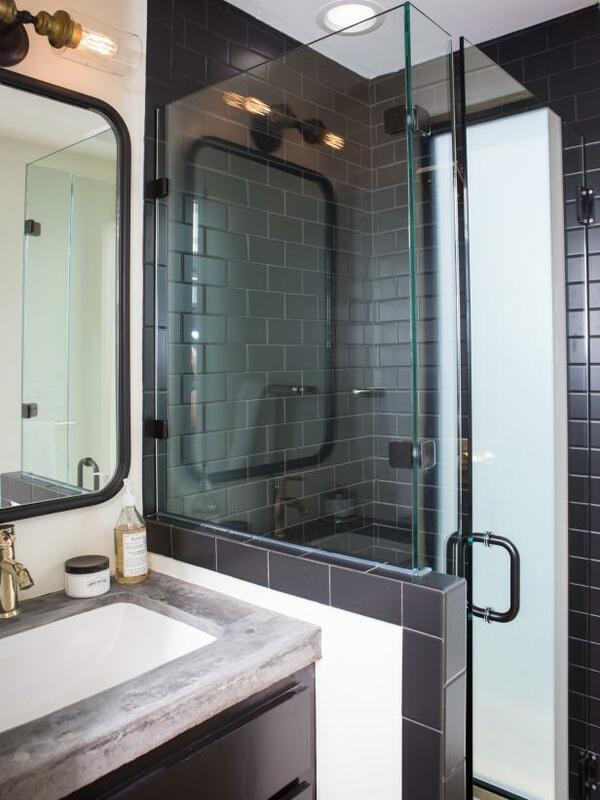 Gray penny tiles that flow beautifully from the shower into the rest of the stunning bathroom keep the room from looking blocked off, making the space feel much more open. Although vertical stripes can sometimes trick the eye into thinking a room is larger than it is, the wallpaper in this bathroom only looks dated and dull. 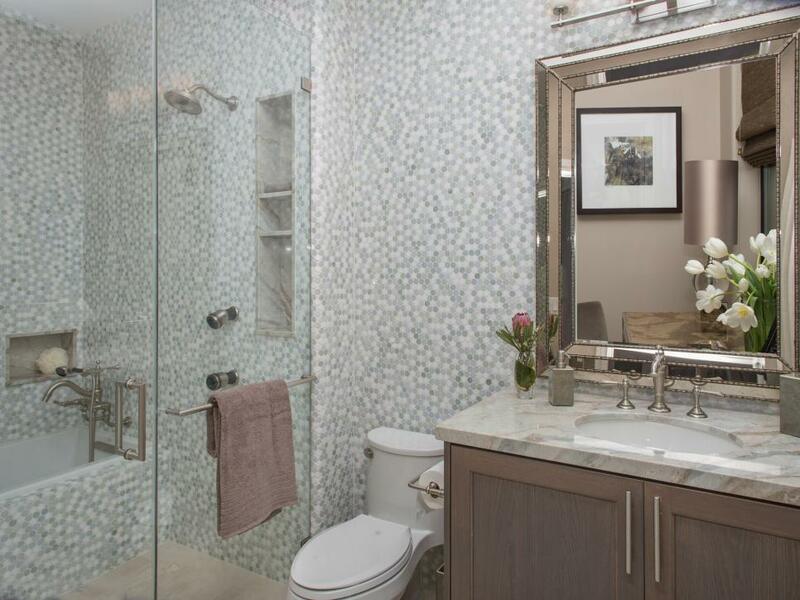 A great alternative to the vertical-striped wallpaper is stunning mosaic tilework laid vertically on the entire bathroom wall. 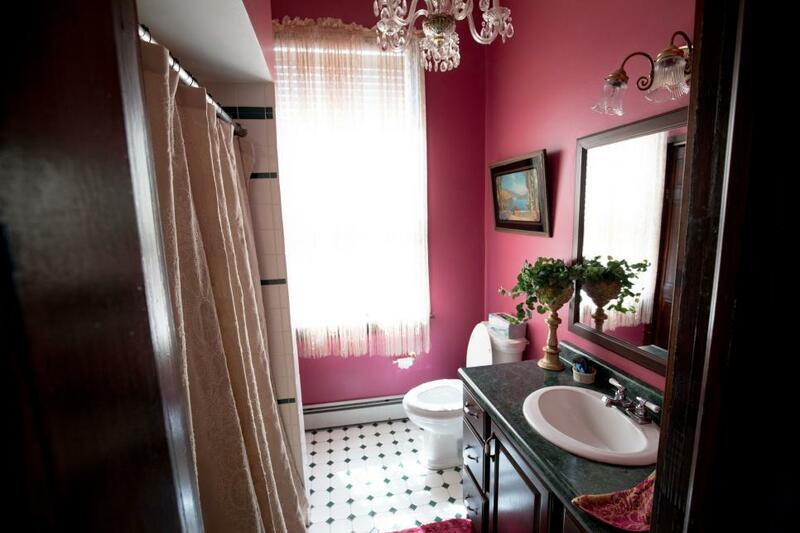 Pink tiles and dark brown accents were the major offenders in this dated disaster. With some help for HGTV's Property Brothers, this space was given a whole new look with a glamorous vibe. The iridescent backsplash visually enlarges the room by reflecting light throughout. Black tiles made this bathroom feel cramped and way too dark. With the aid of HGTV's Fixer Upper hosts Chip and Joanna Gaines, this master bath feels much larger due to white wainscoting, white storage cabinets and not a single black tile. 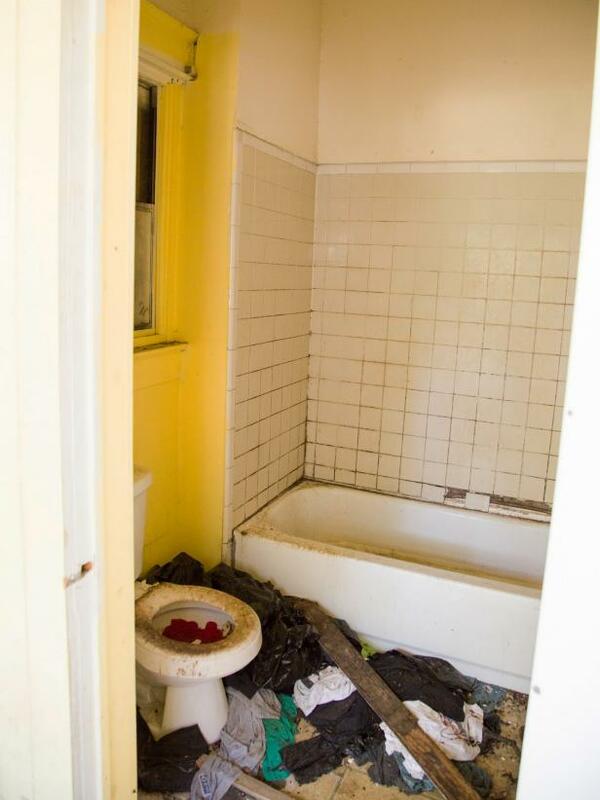 Before a makeover by HGTV's Property Brothers, this dull bathroom lacked storage and personality. 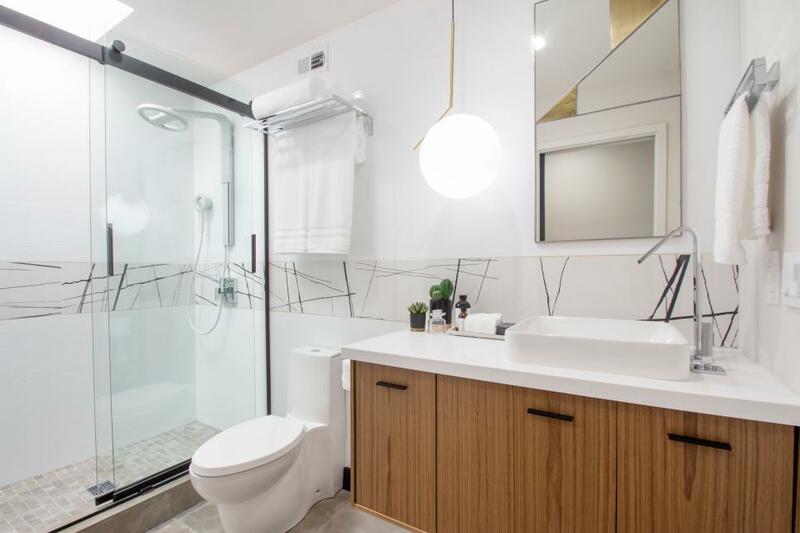 After a major redesign, this contemporary space boasts a stunning tub, brand-new vanity and custom-built shelves that make the most of the space. 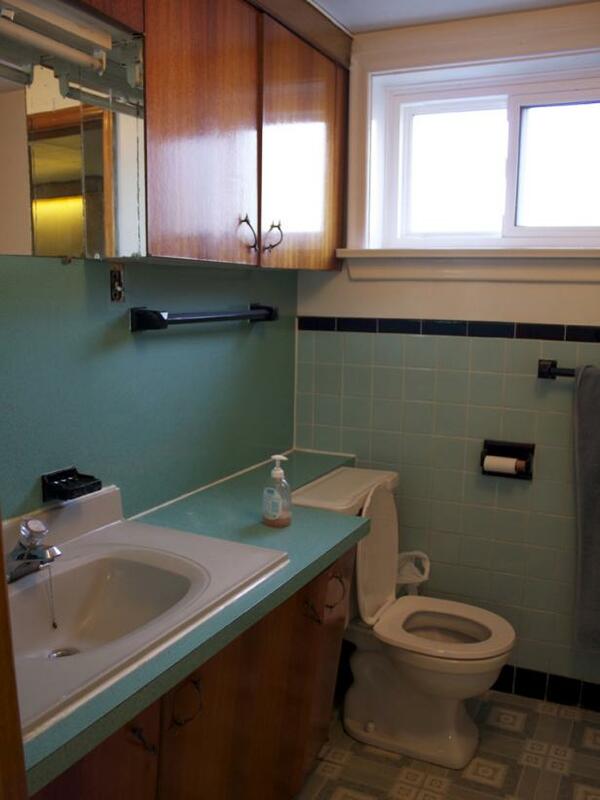 A strange layout and dated fixtures make this bathroom feel cramped. In the redesign, a new layout makes more sense and gives the bathroom a more pulled-together look. New tiles give the space a contemporary feel. The green bathtub said it all in this cluttered space. It was way past time for a makeover. 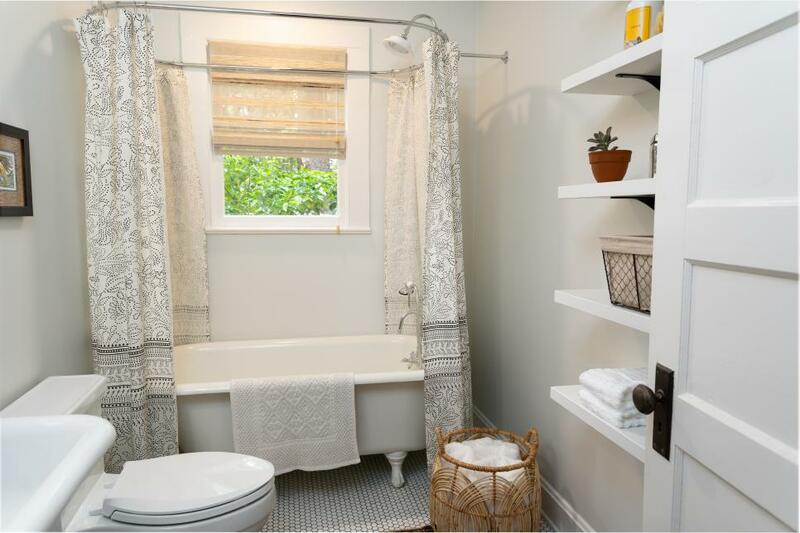 Hosts Drew and Jonathan Scott swapped out the green tub for a pretty green shower curtain. New floors and white wainscoting give this bathroom a classic look. 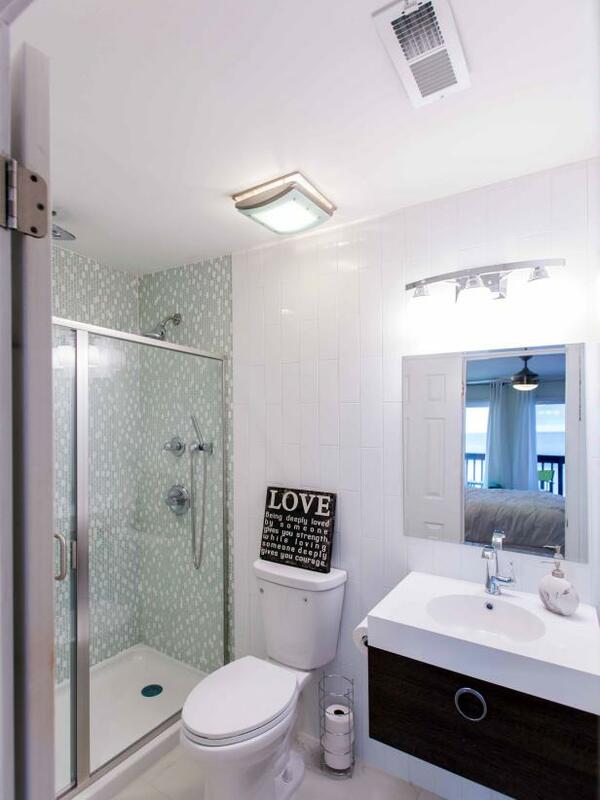 A bright aqua tiled tub takes over in this downstairs bathroom, while the white shower curtain cuts up the room, making it appear smaller. Because the room is more cohesive with a warm color palette and brass fixtures, the entire space feels larger. Though white can often make a small space feel larger, this petite powder room was in serious need of some color. A new paint job, as well as brand-new flooring, completely transformed this once-dull space. As the only bathroom in the entire house, this boring space definitely needed an upgrade. By restoring the original wood floors, HGTV's Rehab Addict host Nicole Curtis was able to add instant warmth to the space. 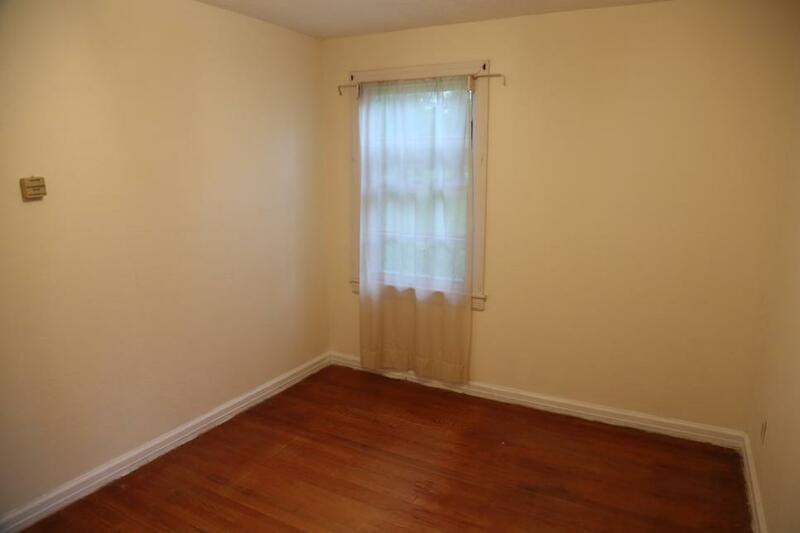 She also opened a wall to create a gorgeous master suite. 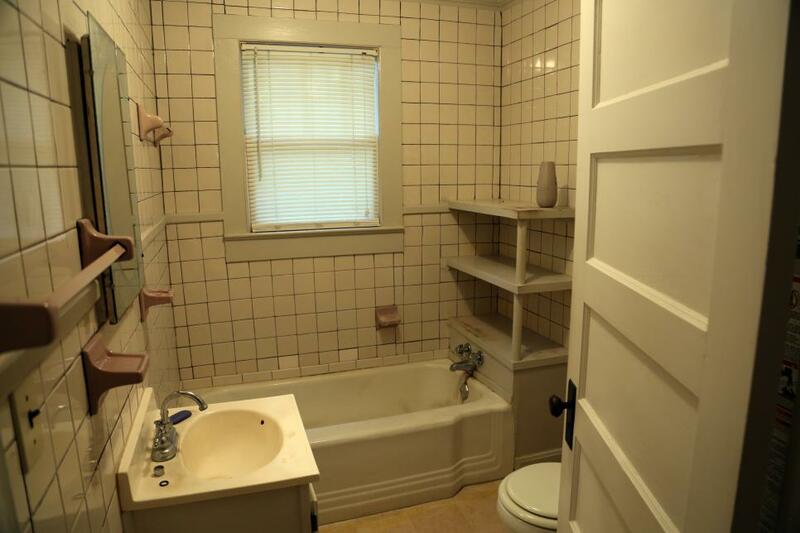 There was nothing interesting about this outdated bathroom featured on HGTV's Fixer Upper. After an amazing makeover, which included expanding the space, this bathroom includes a walk-in shower and stunning quartz countertops. This sad before called for a creative eye and a lot of work. It's hard to believe this is the same small, empty space. Host Nicole Curtis added new fixtures and stunning white wainscoting which adds visual interest and reflects light within the space. 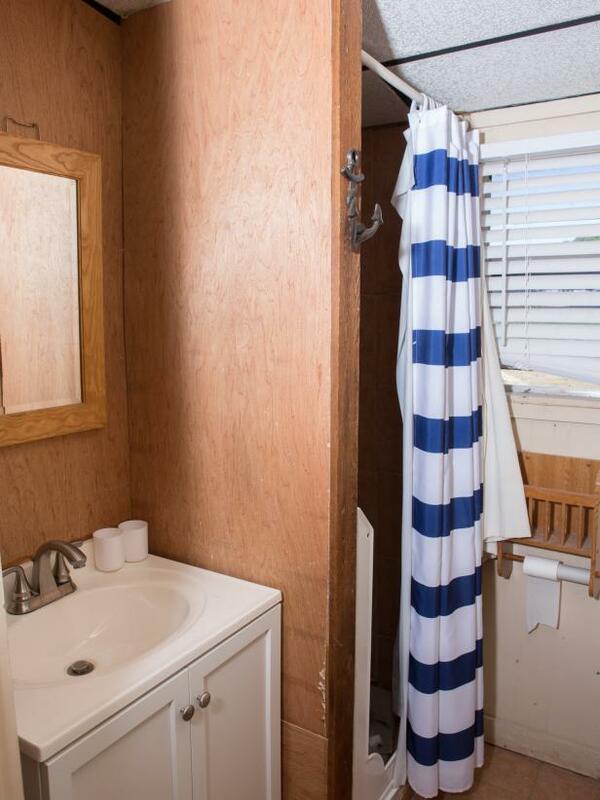 Because the paint color was too intense for the space, this bathroom felt even smaller. A soft, neutral paint color instantly lightens the space, making it feel larger, while fresh flowers add a cheery vibe. This small guest bathroom felt extremely dated with old fixtures and faded paint. After the makeover, the space looks relaxing and spacious, with new floors, a calming color palette and improved lighting. A white vanity plus a cream-colored wall equals one boring bathroom. The bulky cabinet mirror was replaced by a sleeker version, while new lighting and paint keep the entire space feeling bright and more open. 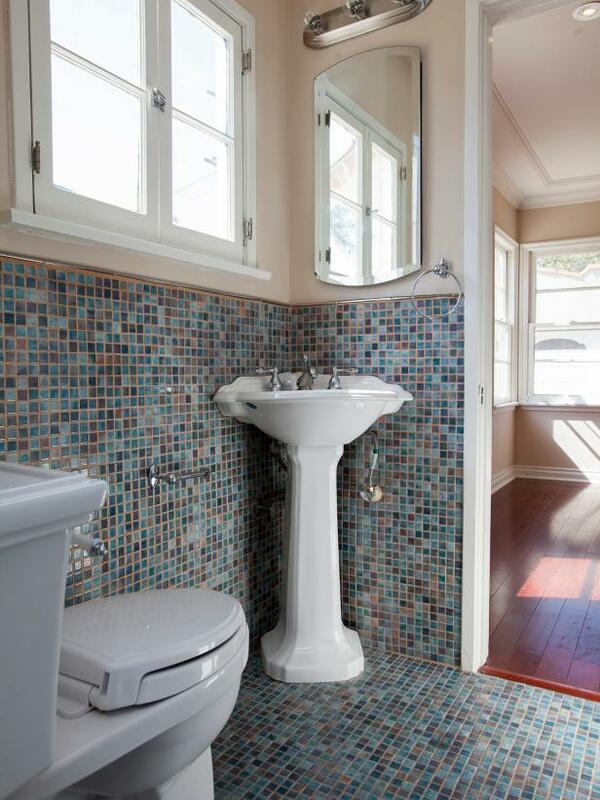 The tiles in this tiny bathroom didn't seem to coordinate with the space, and the overall look was far too boring. 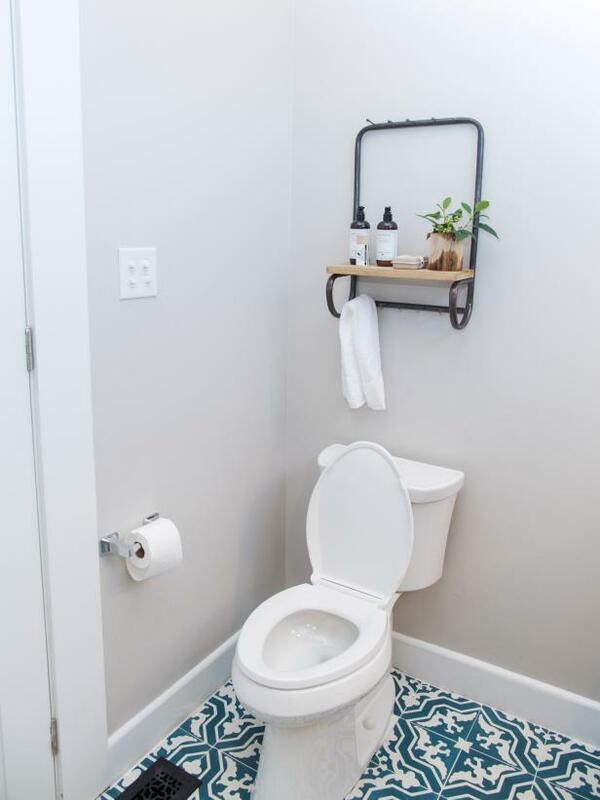 As seen on HGTV's Buying and Selling, the tiles were replaced with beautiful new wainscoting, while a simple basket easily adds needed storage.